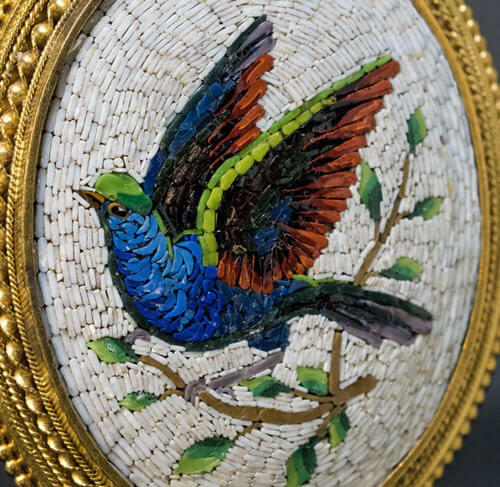 A high quality large antique Italian micro mosaic pendant depicts a colorful bird of paradise. 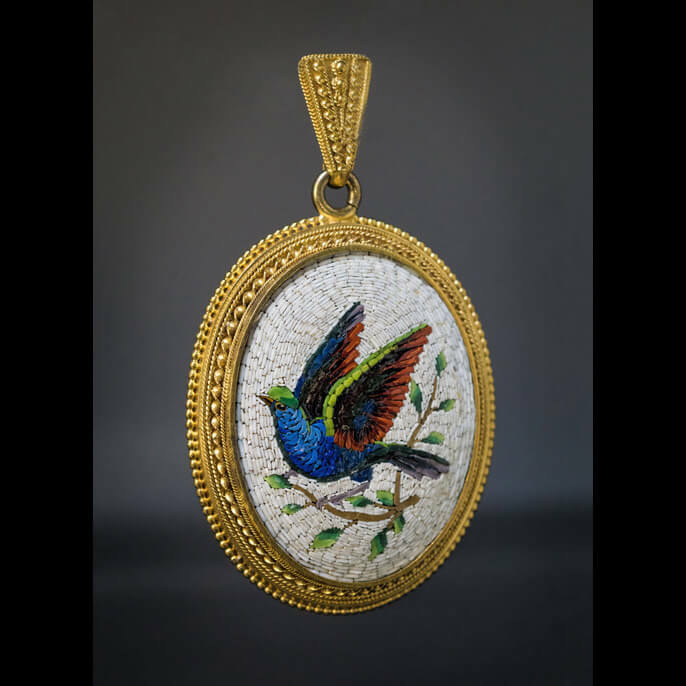 The micro mosaic plaque is set in a finely crafted Etruscan revival 18K gold bezel. 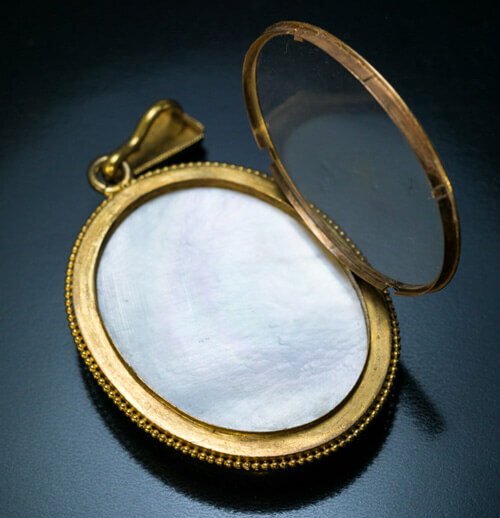 The back of the pendant is fitted with a glazed picture frame with a mother-of-pearl backing.